iOS 7 will soon be in the hands of hundreds of millions of customers. Reimagine your app's interface with the clarity, translucency and depth of iOS 7. Integrate APIs for AirDrop, multitasking, games, and camera, as well as new APIs that take advantage of the powerful new capabilities of iPhone 5s. 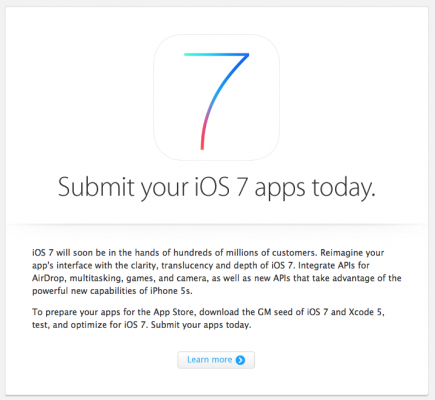 To prepare your apps for the App Store, download the GM seed of iOS 7 and Xcode 5, test, and optimize for iOS 7. Submit your apps today. 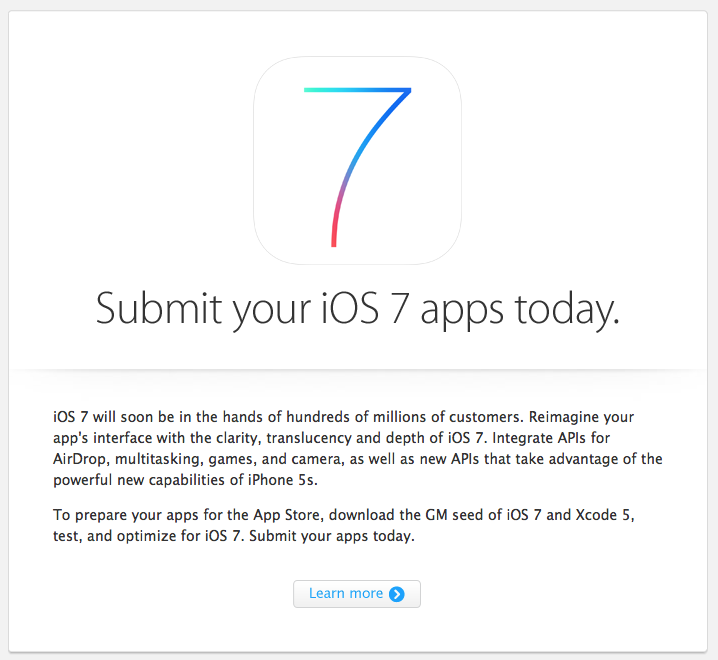 As you know, iOS 7 GM is now available for all developers. Ordinary users will be able to download it on September 18th.